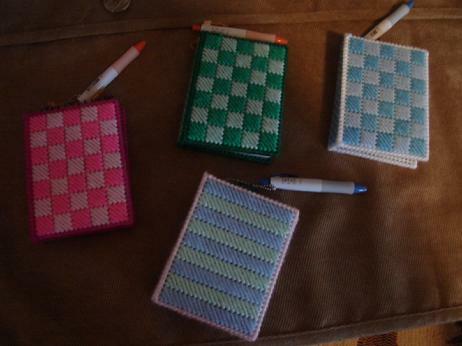 These little notebooks are made by one of my Amish friends and her daughter. 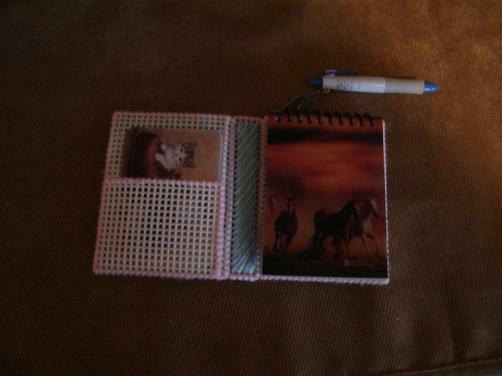 They are hand-stitched with yarn in all colors and contain a little notepad, animal cards, and a pen. Very nice for a child's gift.